What is the Mailing address for my information and if I want packages sent? Do I need to bring any important documents? If I bring a musical instrument what do I need to do? If you would like to bring your instrument, make sure that you bring it in a case and mark it Fragile when you are traveling. We recommend that if you are able to bring your instrument, you should, as we LOVE to worship and play music!! *Guitarists & Bassists: loosen your strings before you fly with your instrument, or your guitar’s neck can easily snap in-flight. Can I use my Cellphone in New Zealand? How much does it cost to get it unlocked? If you have an unlocked phone, you will be able to purchase a SIM card here that will enable you to use your phone. You can buy one at a local grocery store and put it in your phone and you’re good to go! If you have an AT&T iPhone it will cost between $60-$80 NZD to get it unlocked. If you are with Verizon, at the moment it is very difficult to get your iPhone unlocked in NZ. Samsung Galaxy’s cannot be unlocked here either. If you would like to use your phone for calls, texts, internet, once you have a SIM card and your phone is unlocked (or you buy a phone from here), then you can buy prepaid credit or a mobile phone plan if you choose to sign a contract with the phone company. How does Internet work in country/on base? Internet in New Zealand is different from other countries, but is catching up! The cost for an Internet plan is rather expensive and is based on data usage as opposed to being unlimited. So, things like downloading videos, uploading pictures and videos, streaming movies and music/radio, take up a lot of Internet usage. At Faith Bible College, where our courses run, there is a $5 NZD cost to use the Wifi. It is not always fast, but it is unlimited. Most cafes that allow you to use their Internet too. It is our policy that all students and staff are required to and MUST have their own travel insurance for the entire duration of the DTS, including outreach. Please send confirmation of your insurance to the DTS registrar once you have organized it for yourself and before you come to New Zealand (We need it for our records before you arrive). The cost for this is not included in the DTS fees. If you would like help with how to get travel insurance, email registrar@ywambethlehem.co.nz . We recommend that you get immunizations for going on outreach. Our outreach locations are in the Asia Pacific region as well as the Middle East. Therefore, for your protection, we ask that before you arrive, please meet with your doctor and ensure that you are up to date with all of your Hepatitis, MMR, Tetanus shots and any other general shots that are needed. Please provide evidence of immunizations to the DTS Registrar before you arrive by sending them to registrar@ywambethlehem.co.nz . Should you need further immunizations for specific locations, you will be able to get these, as needed, from within New Zealand. Any cost involved would NOT be included in the DTS course costs. 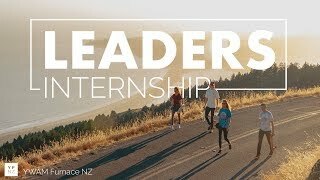 What are some transportation options to get to Tauranga? When you’re flying into New Zealand, please arrange that Tauranga is your final destination. You can either fly into Auckland and then arrange a flight into the Tauranga Airport, or you can take the scenic route via bus or shuttle. Whatever you choose, please email registrar@ywambethlehem.co.nz with your flight/bus/shuttle arrival information, and we’ll be happy to pick you up when you arrive. Will someone be able to pick me up when arrive? Please provide your arrival information into Tauranga (from Auckland – via bus, flight or shuttle) and we can arrange a staff member to pick you up and take you to our base. Please provide arrival time and location to the Registrar. We are not able to pick you up in Auckland. How long does it take to get from Auckland to Tauranga? What is the weather like in New Zealand while I’m there on DTS? You might experience all four seasons, sometimes within a day, here in New Zealand! Average summer highs are in the 70-80F range, while winter lows sit in the 40’s more often than not (We are in the North Island and don’t have snow). During the January DTS it will be summer going into the autumn season. The days are warm (16-24C/65-75F) and the nights are cooler. By the end of February going into March, the temperature cools down a bit as we move towards autumn (9-18C/55-68F). 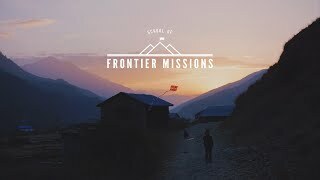 The July DTS is during the winter and spring seasons and then turns into the start of summer when you finish outreach. The temperature in winter ranges from 4C/40F to 15C/59F. It’s vital to pack layers such as a thick coat and warm sweater because most New Zealand houses and our dorms do not have central heating, only single heaters. Are there Laundry facilities that I can use? We provide laundry facilities and each load costs $2 NZD. Dryers are available, and 20 minutes costs $1 NZD. It’s most common in New Zealand to air-dry clothes on washing lines outside, which are also available to use. Coffee: In New Zealand a “French press” is called a “plunger.” So if someone asks you if you want to drink from a plunger, don’t panic. Also, there are no “iced quad Grande nonfat five-pump hazelnut vanilla two splenda white mochas” here (unless you go to Starbucks). There are lattes, flat whites, long blacks, and really intense espresso. Learning the terminology is the key to success. How will I be able to use my Electrical Appliances/Devices? New Zealand has a voltage system of 230 V, as opposed to a country like the USA, whose voltage is 110 V. Because of this, many appliances from other countries overheat when they are plugged into a NZ outlet. Please come prepared with a dual voltage converter or a New Zealand adapter (you can purchase them here as well as your home country). Is it expensive to live in NZ? Coffee is about $5 NZD for a medium cup. A nice dinner out (appetizer, main course, dessert and a beverage) can run up to $40-$60 NZD per person. A fast food meal out is around $10 NZD. A bottle of Shampoo is about $4-$15 NZD. Other toiletries are a bit more expensive than you are used to such as make-up ($14-$30NZD), face lotion ($10-$20), contact solution ($25-$30) and sun screen ($9-$18).here are various different grocery stores available – bulk discount/discount grocery stores to high end/specialty stores. Power and electricity is expensive, so taking a long shower isn’t economical, therefore we need to just have an awareness about usage – so shut off lights when not needed and do not be excessive in using appliances. Internet costs are often more expensive because it is based on data usage, not unlimited (see Internet section above). Should I pack extra shampoo, soap, contact solution etc. or can I buy it in NZ? New Zealand is a smaller country and has to import a lot of things, so that sometimes makes products more expensive compared to what you are used to paying in your home country. Also, the availability of certain products will differ depending on your outreach location. You may want to bring enough to carry you through a few months. Especially contact solution or special products/toiletries that you like from home. However, most things are available in New Zealand. If I have special dietary needs or medical needs do I need to let you know? If you have dietary needs, please tell us immediately of your specific needs so we can inform our cooks. However, some dietary needs we may not be able to cater for. Please let us know if you have food allergies and their effects. Please bring your medicine, EPI Pen, etc. in the case of a reaction. What would be my estimated expenses per week? For weekly school fees, please the website see the cost structure for the DTS. Your school fees cover your accommodation, 3 daily meals, and transportation. Your outreach fees are separate. We suggest before you arrive, that you decide how much you would like to spend on weekly entertainment/extra food/laundry. If you desire any extras such a food, personal needs, gifts, please budget appropriately. While you are in New Zealand we encourage you to get out and enjoy some local delicacies such as savory snacks like meat pies or sweet treats like Pavlova, NZ Manuka honey, and fresh fruit ice cream. Under “Payment Type”, select “Course/Internship Fee Payment”. 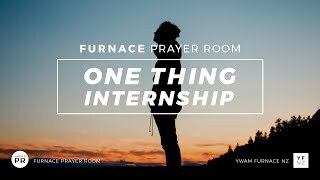 No, YWAM Furnace NZ does not require any qualifications to do the DTS. Because DTS is an accredited course with the University of Nations, we do require you to be 17 years or older. 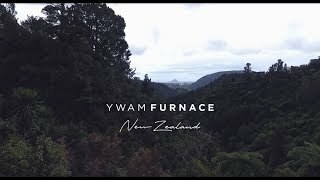 Currently English is our primary language at YWAM Furnace NZ, so we ask that you can understand and speak English. Can I come on a one-way ticket? No, New Zealand requires that all visitors have a valid departure ticket out of New Zealand upon arrival. Please come prepared to present a paper copy of your departure itinerary when entering the country. Visit the New Zealand Immigration Site to learn more. Still can't find an answer to your question? Call us or send us an email!